Mother. Wife. Event Planner Extraordinaire. Boot Lover. Travel Connoisseur. Boss Lady. Those are just a few roles played by Lesleigh Smith, the Owner and Creative Director at The Barn. 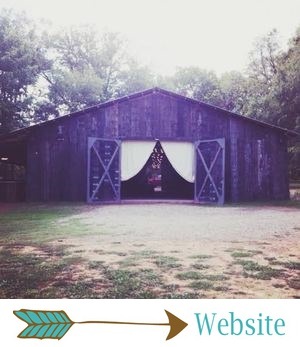 There is a lot to learn about Lesleigh and how she ended up in a tiny town in Arkansas, built a barn wedding venue, and turned it into one of the best venues in the country. In fact, it's way too much to tell you about in one post, so I'm splitting it up into two. Today you'll get to meet Lesleigh, and next week, I'll tell you the story of how she built The Barn and turned it into what it is today! Meet Lesleigh Smith! Lesleigh is married to Ken, and they have a 9-year-old son, Kolton. Lesleigh was born in Texas and spent most of her life there, but she went to junior high and high school in Arkansas. Before moving back to Arkansas, Lesleigh lived in Fort Worth, Texas. She owned and operated an event design business. Before that, she worked in the pharmaceutical and oil/petroleum industries doing large scale events and luxury travel around the world. She even once planned a barn wedding for the VP's Secretary!... Yes, that VP. Lesleigh has been in the wedding industry for 16 years. She studied at Baylor University, but surprisingly, her degree isn't wedding-related. "I studied graphic design, which is what I initially did," she said. "I started out as a graphic designer for ConAgra in Carrollton, Texas, designing packaging for beans and rice!" How amazing is that?! From designing packages for beans and rice to owning her own event design company and then owning a top-rated wedding venue! Just a few random things about Lesleigh. She LOVES to travel with her family. "Via plane though," she said. "I'm not a fan of driving anywhere." She likes to build things, and she's all about power tools! (One of my favorite things about Lesleigh is that she's not afraid to pick up a nail gun or a circular saw and build something amazing... She built pretty much all the awesome stuff you've seen at The Barn. Girl power!) She loves marketing and brainstorming. She also loves boots, chips and salsa ("Like LOVE them," she said. "Like you don't get it... I LOVE LOVE them.") and TEXAS! "I can see myself living there again and having a venue there," she said. Is that a hint?! Wink, wink. When I asked Lesleigh what a normal day in her job looks like, she literally said "bahahahahaha times eternity." HA! "There is no such thing as a 'normal' day at The Barn," she said. "Some days I'm sitting behind my computer, all dang day, answering brides' emails, writing contracts, sending out custom quotes, etc. Some days I'm in my old beat up work truck with my chainsaw, cutting down limbs or cleaning up the grounds. And then other days I'm deep in brainstorming for upcoming wedding designs, or setting up for a wedding." Lesleigh's favorite thing about her job: ALL of it! "But I really love that I can lay in the grass and stare at the clouds and just think about all the things I want to do that I think would be awesome," she said. "Then I take those crazy ideas and apply them to upcoming weddings, or pitch my ideas to upcoming brides, and we get to do them!" Lesleigh has built one of the most successful wedding venues literally from the ground up. She has a dream job, and she didn't get there by getting lucky! This woman works harder than just about anyone I've ever met, and she's one of the most talented people in the biz. She also balances work with play better than anyone, which is one thing that I and so many others admire about her! Just for fun, I want to tell you about a few of Lesleigh's favorite weddings! Hint: she has a TON of favorites! "I seriously remember every. single. wedding. we've ever done (and that's a lot) and I remember what made each of them unique," she said. "The ones that come to us and say, 'Just do whatever, I trust y'all' are most definitely the most fun for me to brainstorm and plan, because I can change things and change my mind on things up until the moment they arrive - and it's so much fun!" *Michelle + Chad: "It was during our first year and I remember meeting with Michelle at a coffee house before The Barn was even built," she said. "She had so much trust in my vision (because back then, barn venues weren't really a 'thing' like they are now), so this was a big deal." *Emily + Casey, because of their teepees and head table backdrop. It was memorable and super Pinteresty! *Gail + Bryan: "I loved the originality of the different bouquets, the guys' attire and the offbeat whimsy (before boho weddings were trendy)," she said. *Lucas + Bayley: "Because duh, it was our kickoff wedding and he's my brother," she said." *Mackenzie + Tyler: "We had to change some things close to the end of her wedding, which were kind of drastic," she said. "She put total faith in me and the team to make things amazing." *Brittany + Jason: Any wedding that is pulled off in THREE days and looks as magical as that one is unforgettable! *Morgan + Wager: We had TONS of creative freedom with that one, which is a huge deal! *Nikki + Scott: "I LOVE LOVE LOVE dinner party weddings, and that one was fancy and awesome," she said. *Our corporate Christmas parties: They're always GORGEOUS! *Bethany + Jamie: "Leopard print should be incorporated in little amounts in every wedding, and her colors were perfection - slate blue, blush and marsala," she said. "I mean WOW!"